There’s gold in them thar servers! I n case you slept through history class, the gold rush was a period of time in California in the mid 1800’s when people believed that gold was literally flowing out of the Earth. Hundreds of thousands of people from all over the world poured into the state on a quest to strike it big. Most earned little, many died, still others became dejected and simply left, and a scant few earned fortunes. The foundations of modern California were laid then, made with bricks of blood, sweat, and broken dreams. From this chaos, the term “gold rush” has now come to indicate any mad rush for easy money, usually in a pejorative sense, with little hope for actual reward. Well, a new gold rush is upon us, one which will likely end just the same as the first. I am of course speaking about online gambling. Texas is the most recent state to make a move toward legalizing Internet casinos, following in the footsteps of New Jersey’s recent, well-publicized efforts to legalize online gambling for a period of ten years. Nevada and Delaware legalized it last year, both with the intention of being first out the gate, to use a gambling phrase. More states are readying initiatives to allow it, with more still beginning to discuss the issue. As is usually the case when governments attempt something for the first time, they are almost guaranteed to fail. The problem isn’t legal, operational, or even really political. The problem is a shocking lack of business perspective, both from government and from the companies with whom they work. Basically, states all see online gambling as a lottery. Many states have long since been disabused of the notion that all gambling is a lottery — and thus see physical casinos as different, but persist in seeing online casinos as somehow different. In a sense, I can’t blame them. The sky-high tax revenue from lotteries acts as a powerful motivator for wishful thinking. So, with wishful thoughts well in hand, we have many a legislature charging blindly forward on online gambling plans with their hearts set on sixty percent tax rates. What I’m trying to say with that flurry of quotes is that businesspeople have a tendency to see themselves in a particular business and that business includes certain heuristics and ideas. Thus, they will try to apply those heuristics to anything that they see as falling within the realm of their business. In the specific case of online casinos, the jurisdictions and corporations will try to shoehorn online casinos into the same regulatory model as real casinos, and this is doomed to fail just the same as those states who try to tax online casinos at some insane level. Perhaps we shouldn’t be all that surprised by this lack of vision. Afterall, governmental agents aren’t businesspeople. They rely on businesspeople to provide the relevant data for a project. This is the very definition of the blind leading the blind considering that the landed casinos themselves seem to see online gambling as a direct competitor to physical gaming. Everyone seems to think that the two types of casinos are in the same business. It takes one nanosecond of analysis to see that just because motorcycles and cars get you from point A to point B, does not mean that they are the same. Let’s set aside that analysis for now. I want to instead look at the failures of vision that have already happened that may provide a good augur from which to predict how this current gold rush is going to turn out. Twin River Casino in Rhode Island isn’t much of a casino. It’s small, unprofitable, and more a spit-shine over the notoriously unsavory Lincoln Park than anything else. It’s notable as a casino without table games, operating in a state that “doesn’t have” gambling, and doing so with what may be the tightest integration between gambling business and government in, well, anywhere. It’s also notable for being less than an hour away from Connecticut’s twin gambling goliaths, Foxwoods and Mohegan Sun. Don’t think that Rhode Island is alone. Connecticut collects twenty-five percent of both Foxwoods’ and Mohegan Sun’s slot profits. This equals tens of millions of dollars every month.3 Massachusetts just recently allowed gambling in general, and with it casino taxes of twenty-five percent and slot taxes of fifty-five percent. Travel a bit farther afield and you’ll find similar numbers. Pennsylvania taxes slot revenue in their casinos to the tune of fifty-five percent, generating over a billion dollars in tax revenue every year — the highest in the nation. Macau, the recently-crowned gambling capital of the world, collects a tax of thirty-nine percent. Between Twin River and Newport Grand, $350 million in taxes are generated — over one-third of all tax revenue for Rhode Island. The state would literally collapse without gambling. And yet, despite this, those in the state continue to say they don’t have casinos and will fight further gambling developments! Indeed, the story of gambling in Rhode Island is a tale told at the intersection of reasonable revenue, greed, ethics, and puritanical zeal —the very same intersection at which the entire country now finds itself. The state wants and needs insane gambling revenue, and while this is generally compatible with most governments, Rhode Island’s nearly century-long, slow-moving train wreck that is Lincoln Park/Twin River proves that even this isn’t a guaranteed formula. With these data in hand, do you think that an online casino based in Rhode Island would succeed? Or do you think it more likely that it would simply collapse? Again, this problem is not exclusive to Rhode Island. The intransigence may be a bit more extreme there than other places, but it’s mostly the same. When a heavily-taxed gambling system is exposed to competition, it fails. Antigua has been much in the news of late. They have taken the United States to the WTO on multiple occasions (and won every time) to fight the UIGEA and its predecessors. They rallied the whole of the Caribbean behind their cause. They have even revealed further cracks in the WTO itself that may cause its very disintegration. But before all that, Antigua was the first jurisdiction to set up a specific system for managing online casinos. In 1994, they instituted a “free trade zone” where operations could be set up, tax-free, just as the provisions of the WTO were beginning to take effect. This was initially done to manage sports betting, with the first bets taken over the phone. They expanded into online casino gambling and were the first country to accept a real-money bet in 1996. During this time, online gambling grew exponentially, especially in the U.S. Even though there were dozens upon dozens of other jurisdictions all competing to become popular hosting sites for casinos, Antigua commanded nearly fifty percent of the market. Times were incredibly fat. In response to increasing corruption and calls for regulation from other countries, Antigua declared that they would be instituting regulations and, crucially, dissolving the free trade zone to allow a new two percent tax on profits. The market responded by slicing Antigua’s market share in half. Unfortunately, one of the reasons for Antigua’s massive market loss was the regulation itself. In 2000, when the regulations were announced, online gambling was about as scummy as it is now. Legislation and protection was desperately needed. Sadly, with so many jurisdictions willing to provide whatever a casino wanted, when Antigua threatened to put actual teeth behind its regulations, the casinos ran. The countries to which the casinos moved technically had regulations, but they were and are utterly toothless. Even today, repeated violations of regulations in countries like Gibraltar are met with no response. Antigua would eventually react by doing what many other jurisdictions would do: putting a cap on tax revenue. In the case of Antigua, this cap was $600,000 per year. Higher than some other jurisdictions, but not high enough that it would drive away casinos. Antigua would also remain lax with its regulations, just as most other jurisdictions, but I remain convinced that it was the capless two percent tax that was the primary driver behind the exodus. It is the reason for the rush of casinos out of the United Kingdom and into Gibraltar: dodging taxes. A tax of two percent was enough to drive dozens of casinos out of the country and into the arms of other countries. If two percent is enough to repel business, what about three, or six, or as with New Jersey, fifteen percent? Lucky for us, we have an answer to that question. As I mentioned, the UK suffered a massive loss of online casinos to Gibraltar after the institution of new taxes in 2005. These new taxes raised the effective rate on online casino revenue to, conveniently, fifteen percent. Quite literally every major casino pulled up stakes and departed for other countries, with some, like the Isle of Man, tantalizingly close. Much like Antigua, the UK has since backed off its taxes. 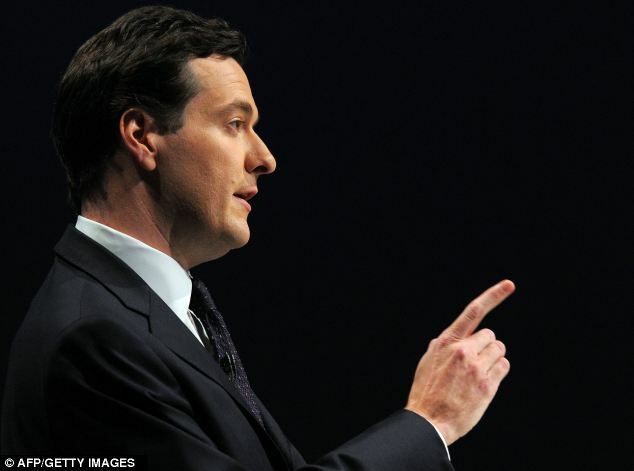 Late last year, George Osborne, Looooord of the Treasury, all but confirmed that the UK is readying a one-third cut to their online gambling tax in an attempt to lure back casinos. This is a significant admission of defeat, if that’s the correct word to describe it. Even still, going from fifteen to ten percent won’t be enough when competing nations are offering rates that are an order of magnitude lower. I would wager that this will change nothing. Not all jurisdictions in developed countries are milking casinos like a dairy cow. Nevada’s tax rate, and thus the tax rate of Vegas, is super-low, at 6.75 percent. New Jersey, famous for Atlantic City, charges a scant eight percent. In both cases, though, we find the seeds of poor business sense. For example, in Vegas, just as the city is facing its worst slump in twenty years, they are talking about raising the tax rate to eight percent. The greed that motivates such a decision is the same greed that motivates Rhode Island to charge over sixty percent in taxes. It’s the same greed that motivated the UK in their catastrophic fifteen percent tax. As I said, though, greed isn’t the only problem here. It may not even be the biggest problem. New Jersey provides perhaps the best example of the manifold misconceptions that now motivate jurisdiction after jurisdiction to charge headlong into the jaws of failure. They charge eight percent on landed casino profits, and even in their earlier rejected propositions, they were going to charge ten percent on online profits. The governor of New Jersey, the bipedal planetoid Chris Christy, specifically rejected the bill unless the tax revenue was raised to fifteen percent. If anything, they should be charging a lower tax on online revenue. But no. Here, they appear to recognize that online gambling and landed gambling are different, but then reach the opposite conclusion that they should. I stress that this failure of analysis isn’t unexpected, nor should those in power be exclusively blamed. Afterall, their primary experience with gambling is one that makes the business seem amenable to high taxes. Pennsylvania, Rhode Island, and Macau all have very high tax rates, but it obviously works.4 As such, a jurisdiction is free to tax like crazy. For someone only vaguely informed on the business, this makes perfect sense. When this faulty perspective is applied to the highly competitive online gambling world, though, it becomes crippling. Just like the casinos contained therein, jurisdictions must compete with one another. With that in mind, Nevada is going to charge $500,000 per year just for the license. Atlantic City hasn’t announced its price yet, but it’s sure to be similar. Compare this to jurisdictions like Curacao which charge $10,000 ANG per year, which works out to about $5,700 USD. And that’s only for the first two years. After that, the license holder can negotiate a lower amount. In short, one one-hundredth the cost. There is only one conclusion to be drawn from these numbers: the Western jurisdictions are going to fail. The primary disconnect, multifaceted as the problem may be, is that just as with so many industries, the big Western gambling jurisdictions don’t seem to grasp that the Internet breaks down barriers. Jurisdictions, be they countries or states, are able to charge the taxes they charge because of natural barriers. Without them, the value of the jurisdiction drops to near zero. That low value is represented in the numbers above. Again, it’s almost alarming that the casinos and governments don’t seem to grasp this. It’s basic economics. The more competition there is, the lower the price is going to be. A landed casino can only operate within a small area, and are only really competing with those within that area: low competition, high prices. Online casinos must compete with everyone, everywhere, all the time: high competition, low prices. The moral of the story is that landed casinos attract the population around them. Yes, Las Vegas attracts people in droves from all over the planet, but not because of the casinos. Vegas attracts customers because it’s Vegas. It is a legitimate destination, different from other destinations. But a standard casino just sitting outside of a major city? It’s exactly the same as any casino sitting outside a major city. People just want to go to the closest casino. As such, casinos that are near major cities can survive higher taxes and charges because the value of proximity is higher for gamblers than any savings they might achieve at a lower-taxed casino. Similarly, there is value in being a landed casino within a particular country that may outweigh any taxes incurred. Online casinos have none of these concerns. Players are exactly the same distance from one casino as from another. Assuming that the experiences are the same (with many using the same products, casinos can be literally identical), players will jump ship with even the slightest motivation, and this behavior has come to very much define the online gambling industry. It’s why we have thousands of online casinos, many owned by the same companies. It’s why so many online casinos open, stay around for a time, then close down only to “open” again with a completely new brand and design. With no inherent “qualitative gravity” attracting players, they are free to wander about like rogue comets, flying into and out of casinos like ADD-afflicted sailors on shore leave. And you better believe that players take advantage of this! It is very common for players to maintain accounts at dozens of online casinos, play a bit at one, then move on to the next after their favorite game goes “cold.” There is no way for a casino to control for this. A player can enter, not like the feeling, and leave, maintaining a balance just large enough to allow this behavior. Landed casinos, even those that are situated directly adjacent to other casinos, have a degree of protection from this behavior. It is difficult for a person to get up, cash in any money, leave, walk to another casino, and set up camp. In essence, landed casinos have a captive audience, one which is incredibly easy to capture. All the casinos have to do is set up shop as close to their audience as possible, and bam, instant guaranteed casino revenue. The Internet is a brave new world for an industry accustomed to this situation. The principle of build it and they will come no longer flies. And since the financial and governmental machine built up around this principle is so entrenched, they will need to spend many years facing total failure before their ideas change. It is the race to realize that everyone is wrong that is the real gold rush. 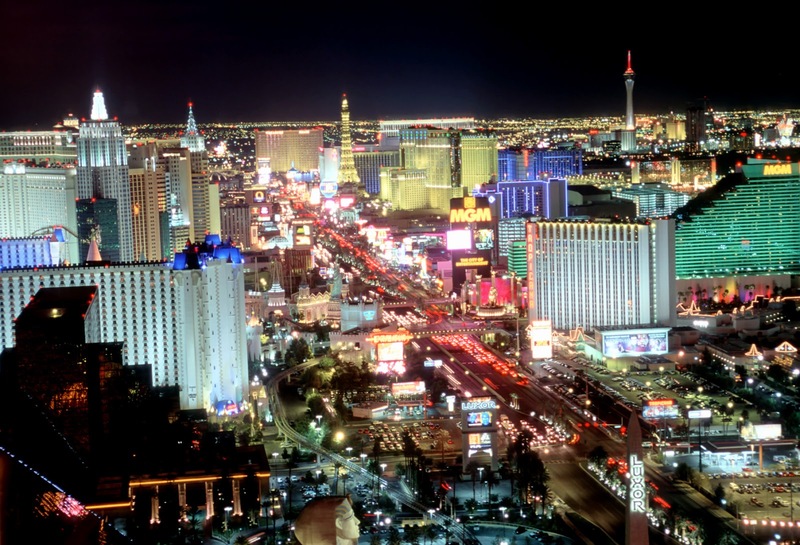 Vegas has the best shot at a functional online gambling industry within U.S. borders. Perhaps because they are working so hard to overcome the drive of gamblers to choose the nearest casino, they are already most emblematic of competitive behavior vis-a-vis a global market. While the overall process of epiphany is going to be slow, Vegas is probably best-positioned to weather this process of awareness. Moreover, those numbers are more than enough for a seasoned player to detect. One percent? Alright. Most players would probably not detect that. Two percent, I think there are many who would “feel” the difference. Three percent? By then, almost everyone will feel it. The situation will thus be a number of “official,” online, American casinos with poor player returns, and a large number of “unofficial” casinos that are offering good returns. Compare the average Foxwoods slot return of ninety-one percent to the average return of a slot at Pinnacle Casino: 97.5 percent. There is no comparison. This palpable disparity will cause American gamblers to flee from American casinos, and will cause customers in other countries to look upon American casinos with disdain. In short, total failure. But what, you ask, if the American casinos raise their returns? I doubt that this will happen, at least initially. While landed casinos have guaranteed revenue and can generate it in multiple ways, online casinos revenue is not guaranteed and can only be generated in one way: the way that gets hammered by taxes. With other jurisdictions accustomed to fifty percent tax rates, Vegas will be the only game in town. At this point, we enter a very strange place. As I discussed in an earlier article, one of the primary goals of American online casinos is to increase liquidity. “Liquidity” is a fancy, casino business term for the amount of money available to be gambled from the population. The logical first step, and the one on every American casino executive’s mind, is to engage gamblers in other states. To further this, states will sign agreements, which will immediately drive all online casinos into the state with the lowest taxes, which will cause the other states to either lower their taxes or renege on their agreement. It would become the U.S. vs. Antigua in miniature. While the possibility of the various American jurisdictions suddenly accepting this situation and lowering their taxes is real, it is fleetingly small. Going from a fifty percent tax down to a one percent tax is something that no one in the U.S. will accept. There is only one way to forcibly construct a market that is amenable to the desired taxes: protectionist policies. These can come in form of subsidies, tariffs, taxes, or outright bans. I could write an entire book on protectionist polices throughout history — indeed, people have — but I won’t open that can of worms. For the purposes of this article, we have a single, shining example of protectionism: the UIGEA. I’ve been picking on the U.S. for the UIGEA since I learned of it. It’s a colossal failure — an embarrassment of a law. The U.S. isn’t the only country to attempt such laws, though. The United Kingdom tried something similar in 2011, only to face even greater resistance for violations of trade treaties. Again, Western nations throwing a hissy-fit because laws that were meant to be used for their benefit are, of all the nerve, being used against them! Good heavens! The world doesn’t work that way! Of course, the world does work that way. The free market is constantly worming itself into economic processes. And while the right-wing myth of the free market isn’t as straightforward as they would like to think, free market principles have an undeniable affect on markets and competition. If protectionist policies slam up against a free market reality too hard, the policies will fail. Again, looking at the UIGEA, all the law did was force major operators out of the U.S. Nearly three-quarters of the gambling activity continued unabated, only it was going to smaller, less scrupulous casinos and bookies. Will we see protectionist behavior between states? Absolutely yes. The only variable is how far the states go toward increasing “liquidity.” If they actually open their borders to one another, and there’s no guarantee they will even make it to that point, then the protectionist behavior will come when states bicker and fight over tax rates until the agreements collapse. The more likely course of events is the states setting into motion the process of increasing liquidity, and in that process begin to realize what would happen in the diverse market that would result. They would then refuse to open their borders, and the entire quest to increase liquidity would fail before it began. Either way, failure is the almost guaranteed conclusion. I described these slowly unfolding events as a gold rush, and it’s about as close to a perfect descriptor as I think I can manage. The hullabaloo that New Jersey’s legislation kicked into high gear is fueled by misinformation and confusion. It is blinding people with visions of riches, and will make a small number of people very wealthy and ruin everyone else. Someone, somewhere is going to make a fortune as the various U.S. states desperately try to catch up to the 21st century. It’s not going to be the casinos, and it’s sure as hell not going to be the states. The only players who stand a chance of earning money are the software companies who will net huge paydays engineering all of the specialized software that is going to be necessary to indulge the state governments. I know that I keep playing Devil’s advocate in response to my own merciless assaults, but it bears repeating; there are underlying aspects of this that almost make one appreciate the actions of the states and casinos. Most notably, in this case, is the sheer size of the U.S. gambling market. It’s enormous. It is far and away the number-one gambling market on the planet. We may not spend the most per capita, there are many countries ahead of us, but the United States population is fifty percent larger than every country above it combined. As a function of raw dollars, no one gambles like Americans. Currently, landed casinos are the only ones feeding off of this, which is why they worked so hard to block online casinos. They want to protect their chattel. And indeed, the government wants to protect its money, as well. The last thing the United States needs is yet another industry that does nothing but funnel U.S. money out of the country. Make no mistake, I can very much appreciate that. I can also appreciate the moral perspective. While I may lampoon and lament the efforts of the American government to regulate online gambling, I am not necessarily against it. I may have been opposed initially, but the corruption in the online gambling world has made me come to believe that strong regulation is in fact critical. But I have stated time and time again that the regulatory region cannot be used as a tax grab. It needs to be financially identical to competitors overseas. It needs to be competitive, but also needs to provide strong regulation. This is the reality of the Internet. Until the various states and, hopefully, the U.S. on the whole recognize that reality, their efforts to enact online gambling will fail — fail to generate revenue, fail to generate jobs, fail to protect consumers —and fail miserably. It is irritating, certainly, but it is also sad. Because there is a reasonable system to be had in this mess. There is a way for everyone to be happy. It is sad that everyone involved has been blinded by a glistening pile of phantom gold, forever on the horizon. Indeed, in many ways, calling this a gold rush may not fully capture its nature. A gold rush implies that there is actual gold to be had. In this case, the gold is illusory; it doesn't exist. Perhaps a better description of this is a stampede, hurtling through the desert, in pursuit of a mirage. Eventually, everyone is going to die. All that's left to do, is watch. 1: The games at Twin River are also all classified as Video Lottery Terminals. From the user perspective, the slots are identical, but the way that the game results are determined is different. Thus, they are not actually slots. It’s a strange distinction. The video poker terminals are also VLTs, and this does affect the game; it’s not actually video poker. It all seems too odd, but there is a key difference from the business’ perspective: there is no chance that they will lose money. The payouts are fixed at some percentage and this is what controls the game results. Probability has nothing to do with it. 2: The founder and original owner of Twin River, at the time named Lincoln Downs, shut down and eventually sold the operation in 1976 after saying that the taxes levied by the state made in essentially impossible to turn a profit. It would be bought by Taunton Greyhound, which itself would suffer from financial problems until selling the track after fewer than five years to a duo of investors, who would themselves have trouble turning a profit. After shuttering their second race track, the duo sold the Lincoln track to a joint venture of Wembley Stadum and United Tote Inc. This new corporation would also have a hard time turning a profit, especially in the face of the recently-opened Foxwoods, thus bringing about the era of video slots. This stumbled along for a while, until a bribery scandal forced Wembley to sell itself to another joint venture corporation, which bought all of Wembley’s U.S. tracks for $455 million. This venture invested $220 million into Lincoln Park, rechristening it Twin River in 2007. They then promptly declared bankruptcy in mid-2009, selling the casino to creditors. This ridiculous, self-defeating arrangement would be utterly destroyed in a truly competitive market. 3: Granted, those are not officially taxes, since both casinos operate on Native American tribal land. The money is intended to smooth over any resentment from not having the huge casinos officially be part of the tax base. Tax or not, it is money going from casino to state in an agreement that no one seems willing to break. 4: Their financial situations are currently poor, but that’s not because of competition. It’s because the global economy is in the toilet. The End Of The UIGEA?